Passengers flying the friendly skies often need to arrange transportation on the ground when they get to their destination. In an effort to give its customers what they want and need, United Airlines has started featuring a link to the Uber app on its own mobile reservation app. Thus, at the moment they purchase a ticket or check in for their flight or confirm that it is on time, passengers also can request that the ride-sharing service be waiting for them outside baggage claim to take them to their hotel or home. United is happy with the arrangement, because it keeps customers on its mobile app, rather than encouraging them to leave. Passengers are happy with the added convenience and ready access to a service they use increasingly to get them where they need to go. And Uber is happy, because more business is coming its way. Less happy are the other actors in the market, including taxi and limousine companies, airport operators, and government authorities. The first complaint is pretty obvious: Taxis and limousines object to the increased competition that the Uber service represents. Many of the people who would have purchased rides from these services instead now book their transport through Uber. Before we dismiss this claim as anticompetitive though, the taxi and limousine companies point out that they are legally required to purchase licenses to operate, and in some locations, such as New York City, those licenses cost around $1 million per year. If competitors do not have to purchase similar licenses, they receive an unfair advantage. The tax authorities agree, in the sense that Uber drivers pay nothing for their right to earn income by driving people where they want to go. 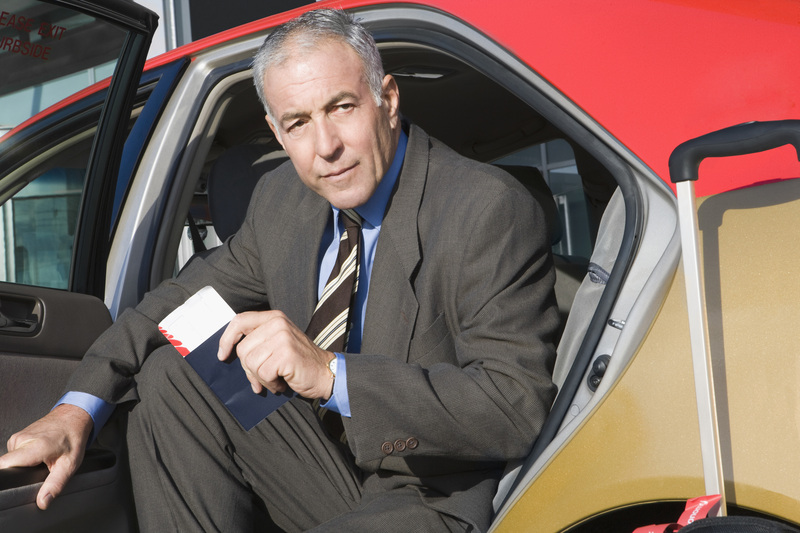 Moreover, government agencies note the potential liability problems arising from hired drivers picking up passengers at the airport. For the airports themselves, Uber could represent either a boon or a substantial loss of income. Airport operators earn revenues from the airlines that fly into their airport, but also from the concessions paid by other service providers located in and around the airport. Such concessions come from restaurants and retail, as well as the taxi and limousine services that pay the airport for the right to circle around and pick up passengers. In Los Angeles for example, Los Angeles World Airports earned around $9.3 million in fees gathered from busses, taxis, and limousines. Accordingly, many airports simply ban Uber from operating in their terminals. Yet Uber also helps clear some congestion in the departure lanes, which may make the airport a more attractive destination for travelers. Noting these customer service benefits, the Nashville International Airport became the first location to issue specific permits to Uber drivers and establish designated locations for them to pick up passengers. Even as its industry partners complain, United simply may be at the front of an unstoppable wave. Travelers like Uber, because it is generally less expensive and more convenient than taxis, and because they know they can pay for it using their smartphones (whereas some cabs still cannot even accept credit cards). To satisfy these customers, the various providers in the airline travel industry might have no choice ultimately but to welcome Uber into the pickup lanes. What actions could the various actors in this controversy take to ensure effective relationships with Uber? Are you saying they’re too expensive, or too cheap? I think they’re too expensive.